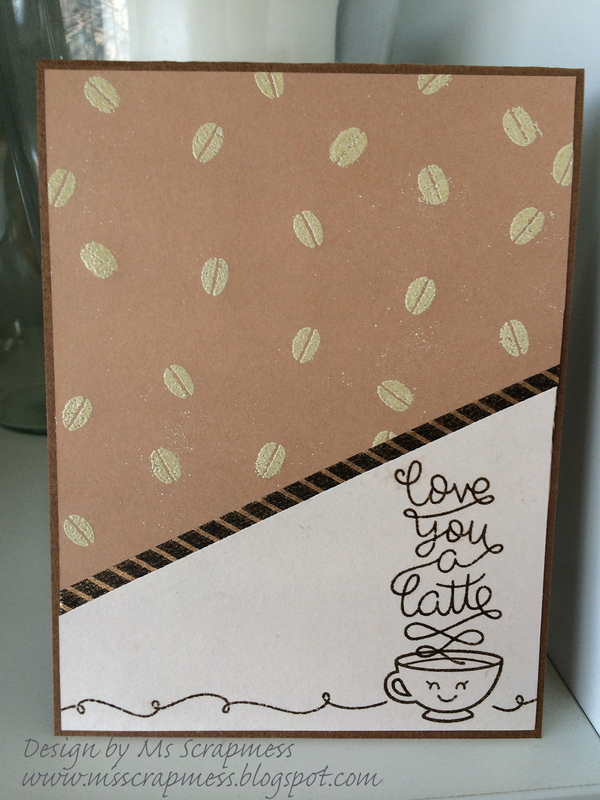 I'm here with a Lawn Fawn card for The Rubber Buggy using my fav stamp set - Love you a latte. It's a stamp set from 2014, but I can't imagine it ever go out of style - right? 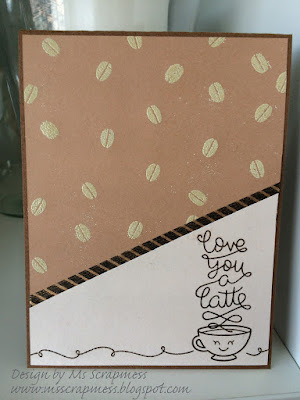 This was a very quick and easy one layer card, so it is easy and light to mail. I created my own background stamping the little coffee bean from the set and heat embossed it repeatedly. There are lots of great embossing powders in the store, but I actually got one from my stash (Zing, brown sugar - suitable don't ya think). But it is flat and still easy to mail - LOL! I emphesised the diagonal by adding a washitape from my stash, that would match the colors of the card. You can find lots of washi in the store HERE. The bottom of the card is stamped with Lawn Fawn ink pad in Walnut and the doodling line that runs through the bottom is from Lawn Fawn's scripty sayings stamp set. There are some stamps that got the sentiment really far to the side and leaves a longer scribbly line. I used one of those and masked the coffee cup so you don't get to see where the ends meet. 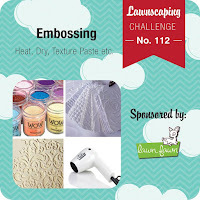 An acrylic block with grids, like Lawn Fawn's, helps you to stamp in a straight line. I hope you like it and thank you for visiting!